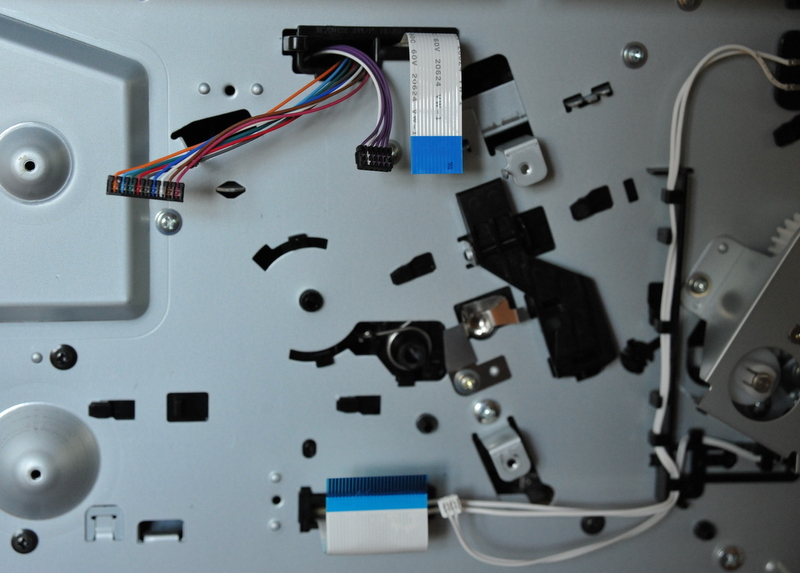 HP LaserJet P2015 printers often fail due to faults in the formatter circuit board. 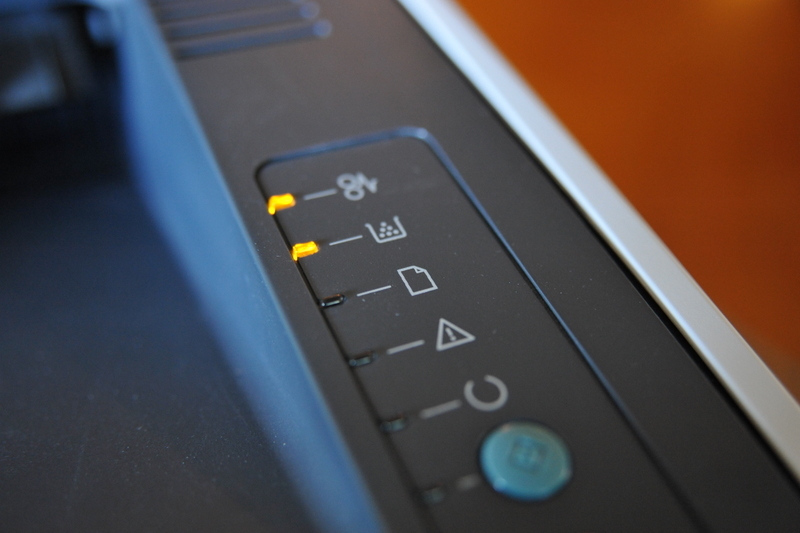 Your laser printer will have the paper jam light on even if there is no jam, and will sometimes have the toner low light on as well. The link lights on the ethernet jack won't turn on either. I found discussions on how to fix your HP LaserJet P2015dn laser printer and one technique is to bake the formatter cicuit board in the oven for a few minutes. Typical instructions say 350 degrees Fahrenheit for 8 minutes but I used about 400 degrees Fahrenheit for 4 minutes. This will melt and reflow the solder and often works. NOTE: as with any information on the Internet, follow this procedure at your own risk. It may ruin your circuit board so consider it a method of last resort and do not proceed unless you can afford to have it fail. But with that said, it worked for me and my printer is back in action after a few minutes of work. Used formatter boards can be also be found for sale inexpensively on AliExpress about $22 including shipping to the US as of December 2017. Check the part number for your board which is printed on the white label with a barcode. My board is part number Q7805-6002. Fourteen months later my printer began to have problems again so I repeated the procedure and the printer is working again. 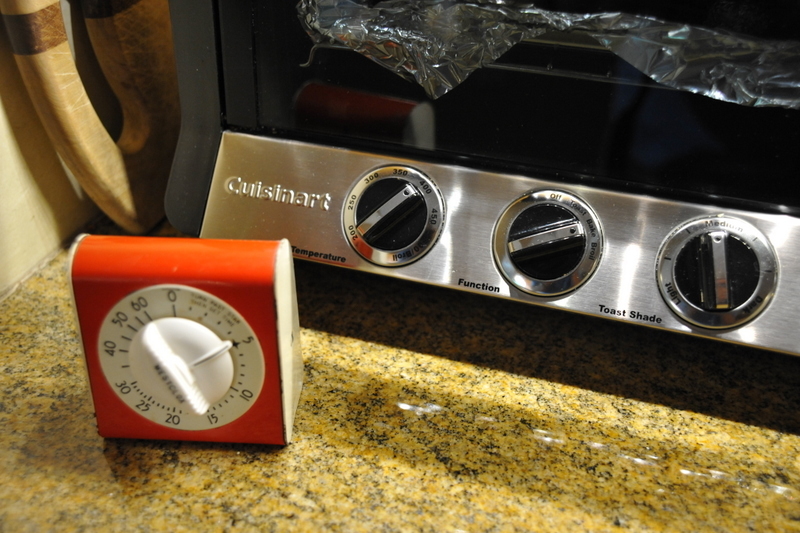 This time I baked the formatter board at 400 degrees Fahrenheit for 8 minutes. That discolored the board and created a strong smell so next time I would bake it for less time. Two years after the last fix my printer spuriously showed the paper jam light. 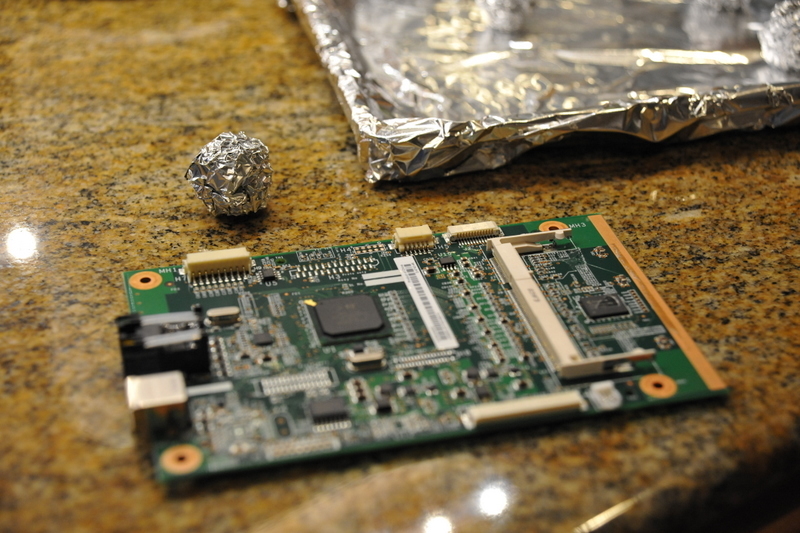 I baked the board at 400 fahrenheit for 7 minutes, after which I noticed a crystal (oblong metal cased component) had dropped out of the board. I soldered that back into place and everything works for now. 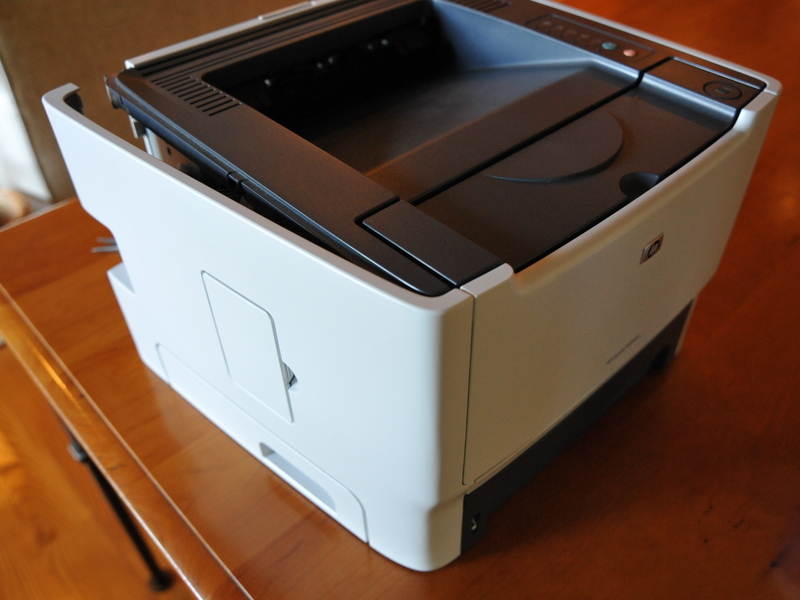 Four years after the last fix my printer spuriously showed the paper jam light and the toner light. I baked the board at 400 fahrenheit for 7 minutes and the printer works again. Two years after the last fix my printer spuriously showed the paper jam light or the paper out light. I baked the board at 375 fahrenheit for 7 minutes and the printer works again. This picture shows the error lights when the printer is turned on. 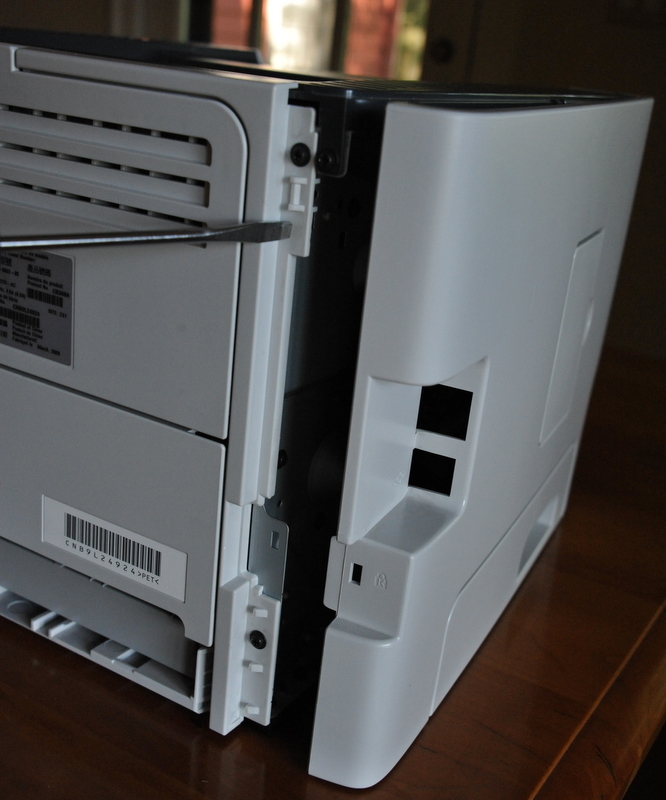 To remove the cover panels turn the printer so you are facing it from the back. Take a flat bladed screwdriver and gently pry the right hand panel at the top and the bottom. The cover is a snap fit and will come loose. Remove it and set aside. You can see the formatter board under the cover. You will need to gently remove 5 connections. two are ribbon cables and three are connectors. 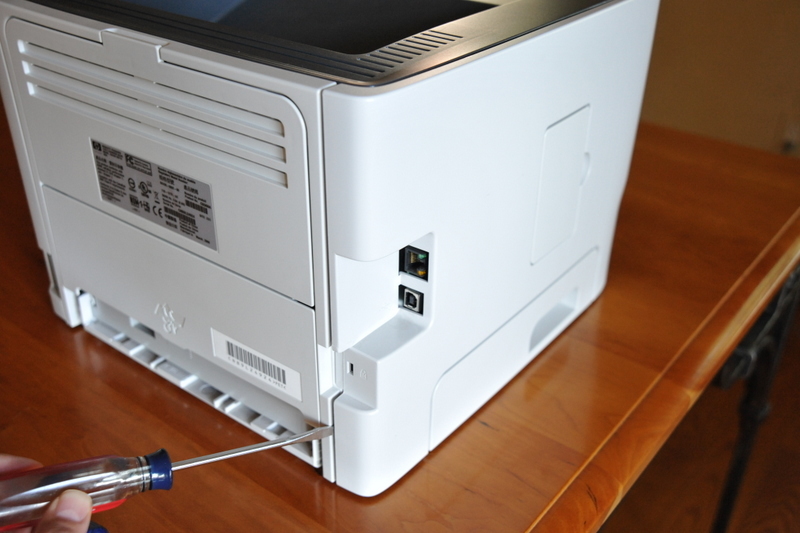 Be sure to be careful with the connectors - do not pull on the wires, try to wiggle the plastic connectors with your fingers or a small pair of pliers. This picture shows the connectors and ribbon cables loose. 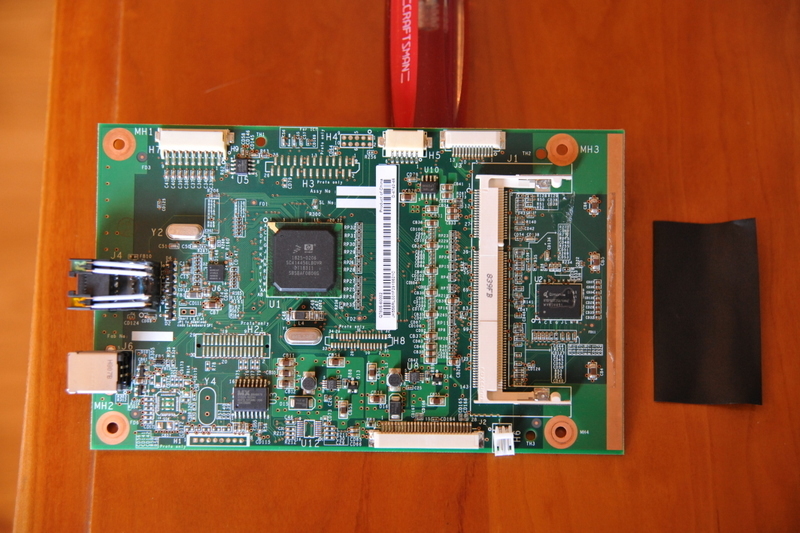 The board is held in place with 4 Phillips head screws. Remove the board. Before you heat the board peel off the black tape that covers components under the RAM chip. If the RAM is installed remove that before baking. 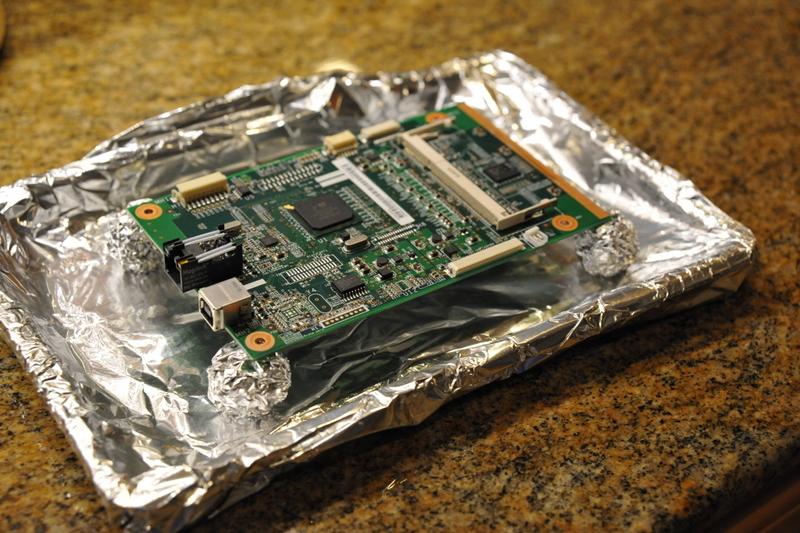 I covered a backing pan with aluminum foil and made 4 small balls to hod the board in the air while baking. Bake at 400 degrees Fahrenheit for 4 to 7 minutes. Let cool for about 20 minutes. Replace the board (the top right screw first), reattach the cables and snap the cover back on. 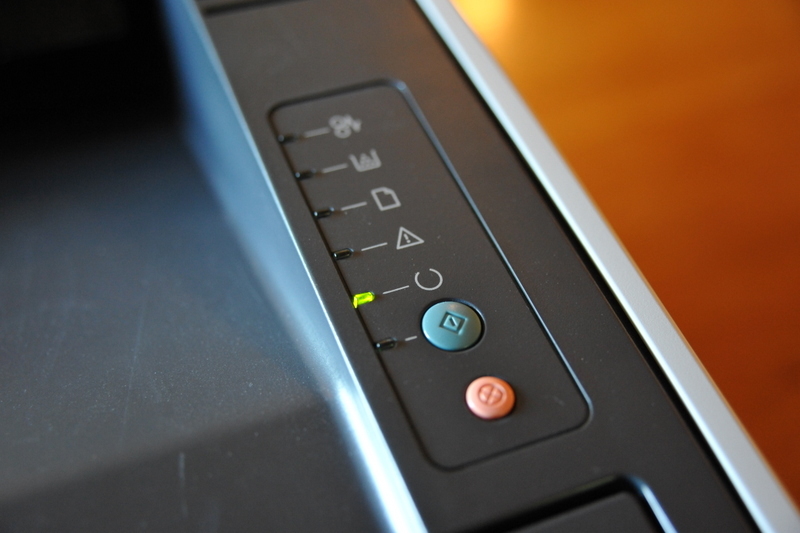 If the fix is succesful when you power on the printer (hold the green button while it turns on to get a test page printed) you will see this green light. Congratulations!